"Your practical guide to astronomy, featuring star charts, observing tutorials and in-depth equipment reviews. 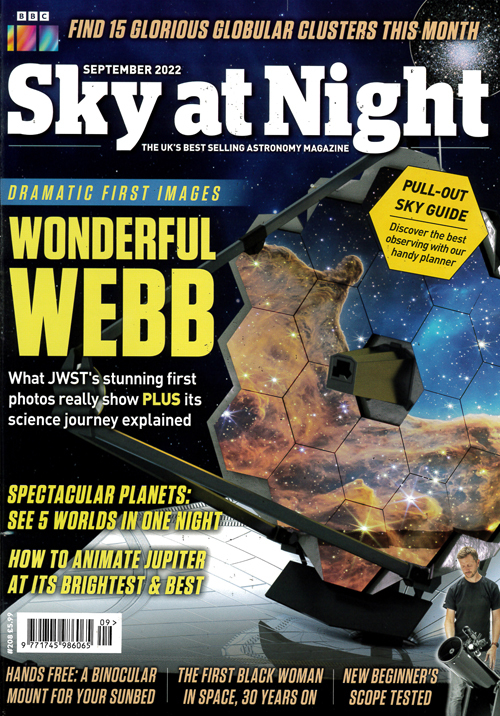 As well as complementing the television programme with in-depth features on the latest areas of cosmological research, Sky at Night magazine is your practical guide to astronomy, featuring star charts, observing tutorials and in-depth equipment reviews. Whatever your level of knowledge, you´ll find something to enjoy in the night sky." Published in English - Monthly. Allow 6-10 weeks for initial delivery.